Act Normal And Don't Tell Anyone About The Present Machine by Christian Darkin is the eighth book in the best-selling ‘Act Normal' children's book series. 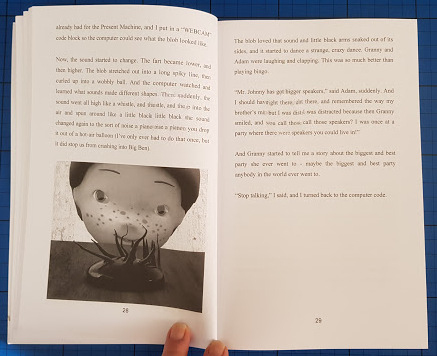 A chapter book for young independent readers aged around 7-11, challenging gender stereotypes and showing that blue is not always for a boy and pink and glittery isn't always for a girl, and that's okay. In fact it couldn't be more normal. 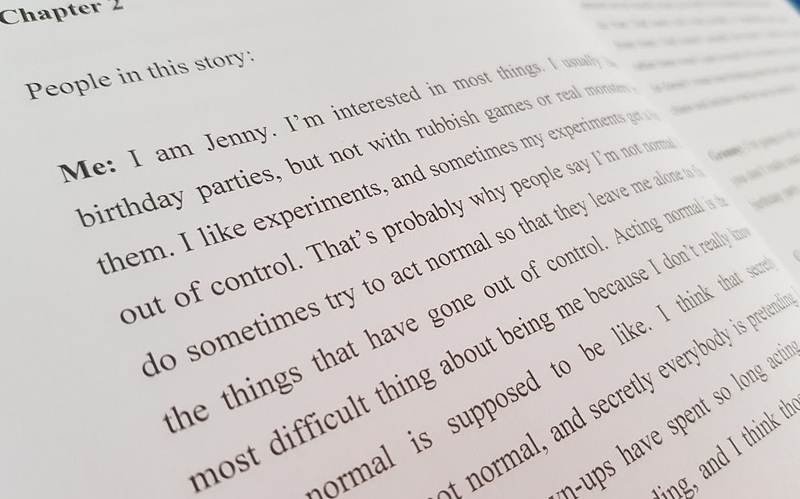 Act Normal's main character is a girl named Jenny, who thinks she is weird. When she's 46 like me she might realise we're all weird, but for now she thinks it's mainly just her and her family. We've not read any of the previous books in this series, but that wasn't a problem as all of the characters are introduced and we're given enough backstory to catch up what we need to. This book takes place at Granny's birthday party at the old people's home where she lives. Granny used to be a research scientist and Jenny has no idea what to get her for her birthday, because if she wanted something she could probably make it. 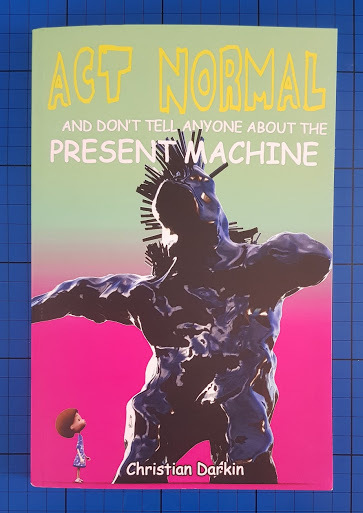 Act Normal and Don't Tell Anyone About the Present Machine is a fantastic book for any 7-11 year old. Normalising science driven activities is great, normalising it among female characters even better. Jenny isn't a genius, she doesn't have magic powers, she's just a regular schoolgirl using her brain. 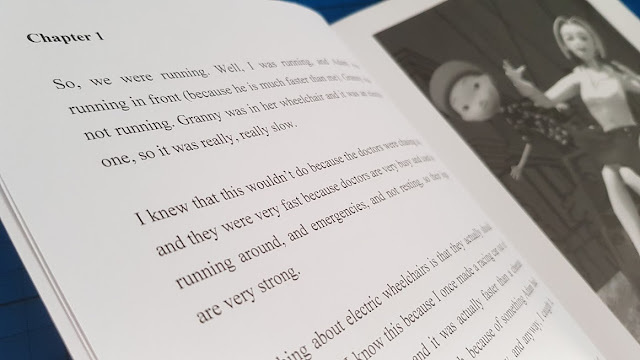 Act Normal And Don't Tell Anyone About The Present Machine by Christian Darkin has 158 pages and is suitable for young readers aged 7+. Published by Anachronistic Publishing and Amazon, paperback £5.99rrp. I use Amazon affiliate links, which earn me a few pence for taking the time to link. 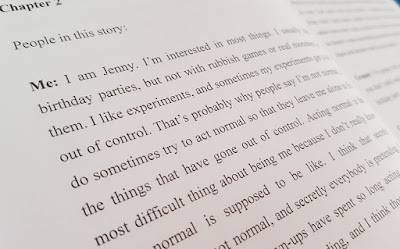 We were sent our copy of Act Normal for review.